Manchurian apricot is a fruit from Central Asia. It is grown in China and Mongolia. 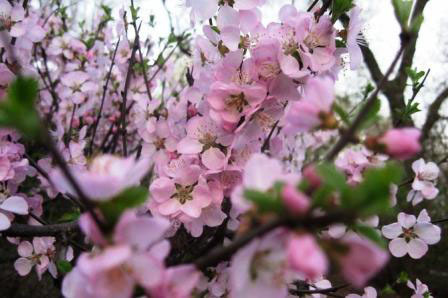 Its trees are now being planted in other cold countries too because of its attractive bloom. 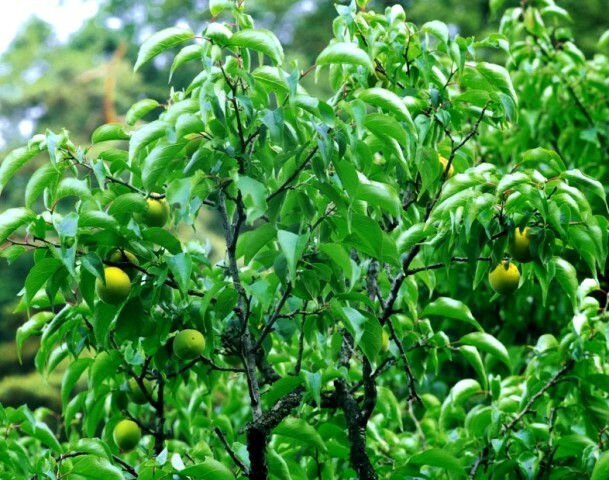 Mancurian apricot has also been used in apricot breeding as a source of frost resistance. A small round headed deciduous tree, upto 6 m tall, bark smooth, brown. Flowers solitary, pink and 2.5 cm wide, borne in late spring, very showy and fragrant. Fruits about 2.5 cm in diameter, yellow with red flush, showy, edible, borne in abundance. 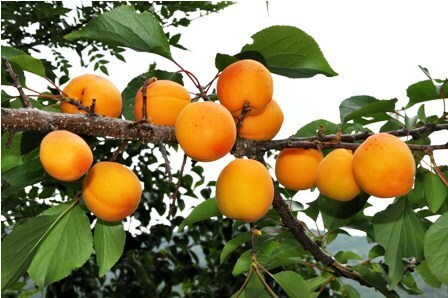 Manchurian apricot fruits are edible and eaten fresh. These are excellent for making jams and jellies. 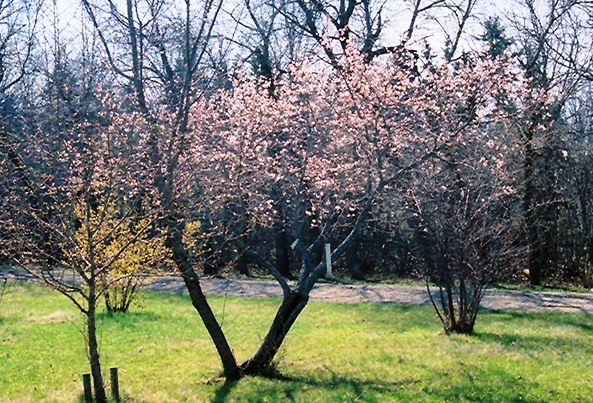 This tree also adds to the landscape of the garden on account of the stunning clusters of fragrant shell pink flowers along the branches in early spring, which emerge from distinctive pink flower buds before the leaves. It has green foliage throughout the season. The pointy leaves turn yellow in fall. The fruits are also showy and carried in abundance in late summer. The fruits, however, can be messy if allowed to drop on the lawn or walkways. Though Manchurian apricot bears edible fruits but still it cannot compete with regular apricot as a commercial orchard fruit. So the trees are planted as ornamental or specimen plants in the garden and not as a fruit tree. This tree will require occasional maintenance and upkeep. It is best pruned in late winter once the threat of extreme cold has passed.